Too much of the world lacks access to clean drinking water. Engineer Michael Pritchard did something about it and invented the portable Lifesaver filter. 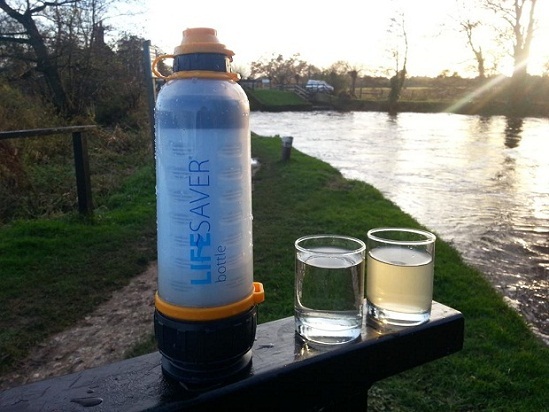 Lifesaver can make the most revolting water drinkable in seconds, and lasts for up to 6,000 liters. It removes all viruses and bacteria regardless of the type of water used, exceeding the EPAs Microbiological Reduction Requirements. Michael reports that the bottle is currently used by thousands of people around the world. When the filter cartridge is expired the system shuts off using failsafe technology and protecting the user. A new cartridge can be easily replaced for another 6,000 liters of water. Another excellent portable option is the LifeStraw – http://lifestraw.com.